SpoolFlex allows you to easily convert your IBM i, iSeries or AS400 reports to PDF without any programming or tedious manual tasks. PDF files can easily be Emailed or posted directly to the IFS on the IBM i, iSeries or AS400 or directly to your server for easy access by end users. Turn over the task of spool file management and report distribution to the users generating the reports. Software is native IBM System software which means there are no PC’s or Servers required. 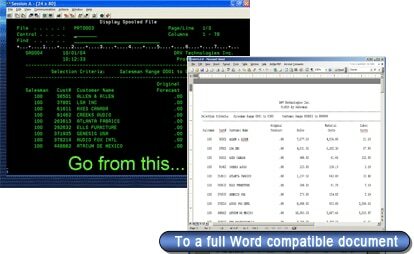 SpoolFlex can be setup to convert reports to PDF files automatically without any programming and optionally emailed.